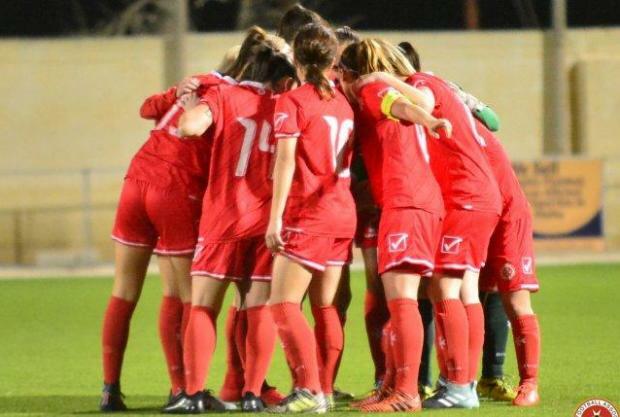 The Malta women’s squad will travel to Austria on Tuesday for a five-day training camp. Mark Gatt, the national women’s coach, has selected a squad of 20 players for the training camp, being held in Koessen, the same town where the men’s senior national team had a seven-day training camp earlier this year. This pre-season training camp is intended to aid the women’s national team’s preparations for their two friendly matches against Hungary at the Centenary Stadium in October. “This training camp has come at the right time for us,” coach Gatt told www.mfa.com.mt. “As our next commitments are the two friendly matches against Hungary, the warm-up games we will play during our Austria training camp will surely help our preparations for the coming tests. “We have several experienced players missing through injuries but we’ve called up three young players aged under 19 and two newcomers, Simone Buttigieg and Yolande Attard, both of Swieqi United. Gatt’s team will be playing two friendly matches in Austria, the first against division one side FC Wacker Innsbruck this Thursday. and the second, two days later, against SV Angerberg. In their last two outings, both friendly matches played earlier this year, the Malta women’s side lost 1-0 to Estonia but bounced back to win the second meeting 4-1 at the Centenary Stadium. Goalkeepers: Janice Xuereb (Birkirkara); Rachelle Lynn Borg (Mġarr United); Maria Xuereb (Luxol Raiders). Defenders: Stephania Farrugia (Birkirkara); Maia Melanie Debono, Charlese Marie Cassia (both Mġarr United); Jade Flask, Charlene Zammit, Rebecca Bajada (all Hibernians); Nicole Sciberras (AS Grifone Giallo Verde, Italy). Midfielders: Simone Buttigieg, Yolande Attard (both Swieqi United); Dorianne Theuma, Shona Zammit, Emma Xuereb (all Hibernians); Maria Farrugia (Gozo), Andrea Faye Zammit (Luxol Raiders). Forwards: Ylenia Ann Carabott (Birkirkara); Martina Borg (ASD Fortitudo Mozzacane, Italy); Roxanne Micallef (Mġarr United).